The decision comes eight months after PM Modi’s high-profile seaplane flight on the Sabarmati river front in December last year. New Delhi: To promote operation of sea planes in the country, the government has given in-principle approval for construction of “water aerodromes”, with five states — Odisha, Gujarat, Maharashtra, Andhra Pradesh and Assam — being identified initially for the facility. 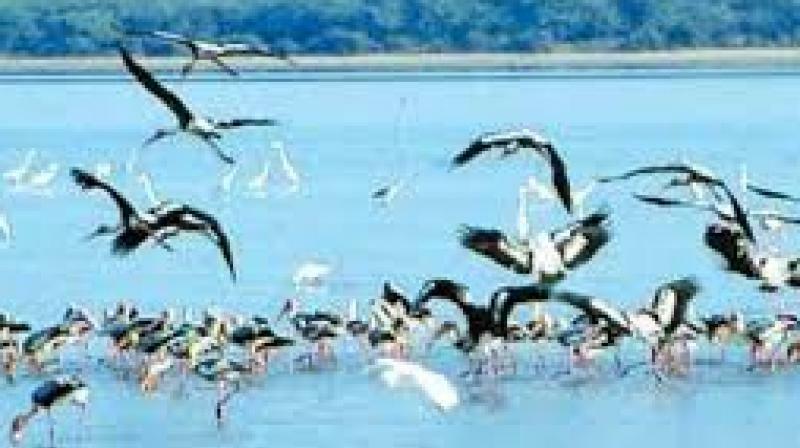 For the “first phase” of the project, Chilka Lake in Odisha and Sabarmati river front and Sardar Sarovar Dam in Gujarat have been identified by the government. The decision comes eight months after Prime Minister Narendra Modi’s high-profile seaplane flight on the Sabarmati river front in December last year. According to the DGCA, an entity seeking to set up a water aerodrome has to take approvals from various authorities, including the ministries of defence, home, environment and forests and shipping. Seaplanes, like the one used by Mr Modi in Gujarat last year, are likely to help tourists land in water-bodies at tourist hotspots such as Udaipur in Rajasthan, Kaziranga National Park in Assam apart from island destinations such as Lakshadweep and the Andaman and Nicobar Islands.